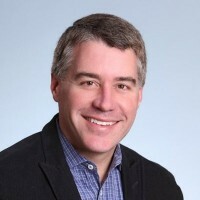 Jeff Marshall recently joined the ride-share giant Uber as Director of Community Operations. Mr. Marshall previously served as a member of the Facebook Corporate Development team, focused on mergers and acquisitions the company does throughout the technology industry. He previously managed global business and customer operation teams focused on supporting over a billion people, developers and advertisers who use Facebook. Prior to Facebook, Mr. Marshall was an investment banker at Morgan Stanley in the technology banking group working with companies in the consumer internet, communications, semiconductor and software sectors. “Jeff is a brilliant, rising star in Silicon Valley. As a post-9/11 Air Force veteran himself, Jeff knows our issues, how technology can empower veterans and the true value of a veteran to the business sector. He is at the forefront of technology innovation at Uber and his experience and connections to the tech community will serve as an integral part of IAVA’s future. He has already galvanized tremendous support for veterans all across the Bay Area and as a member of Mayor Lee’s Veterans Advisory Board. As a digital-born organization, the addition of Jeff Marshall to IAVA’s board will bring incredible strategic vision and execution experience that will be essential as we scale our programs in the next decade,” said IAVA CEO and Founder Paul Rieckhoff.